Congress on 7 February took a dig at Prime Minister Narendra Modi's reply to the Motion of Thanks on President's address in the Lok Sabha, saying that the former is addicted to one-liners, acronyms and jumlas. "I am very sorry to hear this that no less than the Prime Minister of the world's second largest democracy and second most populous nation is addicted to one-liners, acronyms and jumlas. He cannot get rid of this addiction. He trivialises mild words in English language. 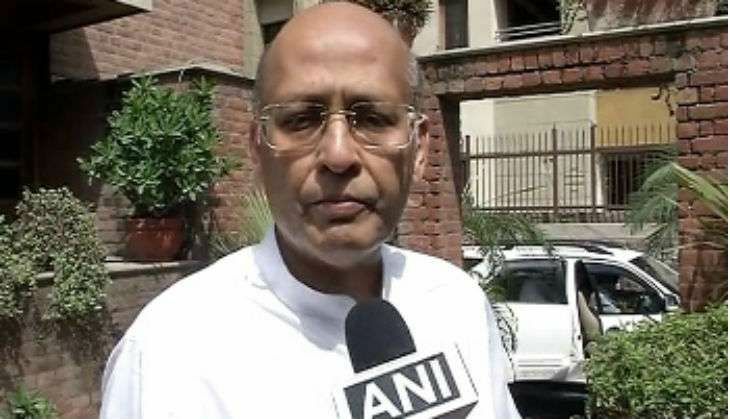 He trivialises a natural calamity like an earthquake," Congress spokesperson Abhishek Singhvi told ANI. Earlier today, PM Modi took a jibe at Rahul Gandhi's 'earthquake' remark that was made in December 2016 and said that the nation finally felt the tremors yesterday. PM Modi's remarks came hours after an earthquake measuring 5.8 on the Richter scale hit Uttarakhand and the tremors were felt in North India including Delhi. Singhvi escalated his attack on PM Modi saying that the former is frustrated and frightened especially after demonetisation. "He is obviously frustrated and frightened especially after demonetisation that he sees Rahul Gandhi in earthquake. But this is not befitting a Prime Minister,' he added. The Congress spokesperson further said that the Bharatiya Janata Party (BJP) is desperate and panicked. "Clearly, he is frightened about the impending results. Clearly, the party he represents is desperate. They are now finding a Rahul Gandhi in every tree, in every bush which I think shows the state of panic of the Prime Minister and his party," he added.